Hollis Johnson/Business InsiderSteve Case is the founding CEO of AOL and the chairman and CEO of the venture capital firm Revolution. In 2000, AOL bought Time Warner for $US165 billion, making it the largest merger in history at the time. Case left in 2005, correctly predicting it was an unsustainable partnership. 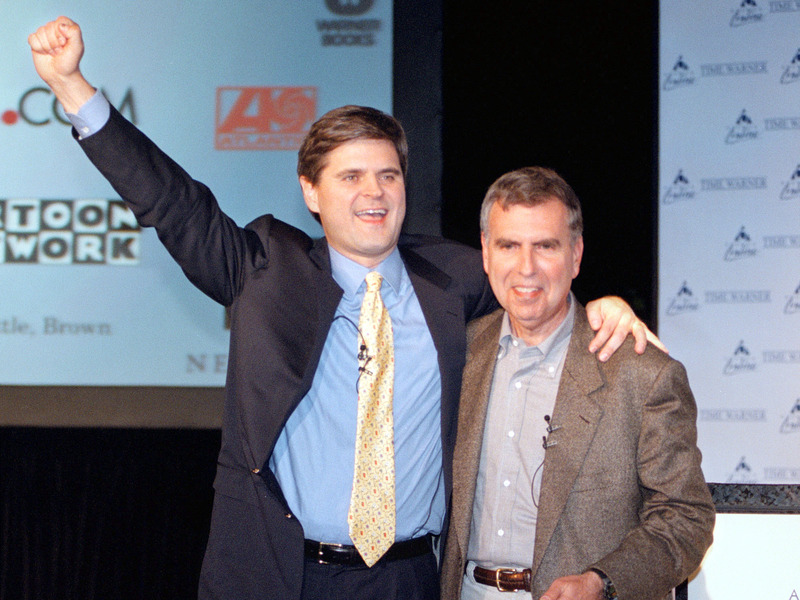 AOL’s founding CEO Steve Case embraced Time Warner head Jerry Levin and raised his fist in triumph at the press conference marking the $US165 merger of their two companies in January, 2000. It was the largest merger deal in history, resulting in the world’s largest media conglomerate. Two months later, the dot-com bubble burst, and AOL Time Warner’s valuation came crashing down, setting the context for years of clashes between the two companies’ cultures and ambitions. Case left the board in 2005, writing an editorial in the Washington Post shortly after his departure declaring the merger – which ultimately fell apart in 2009 – a failure. But Case was far from done, and he dedicated himself to his Washington, DC-based venture capital firm Revolution. And for the last five years, he’s been touring the United States and investing millions of dollars in emerging startup markets through Revolution’s “Rise of the Rest” initiative. In a recent interview for Business Insider’s podcast, “This is Success,” Case said the failure of AOL Time Warner taught him an important lesson he’s mindful of today. Case was the lead architect of the deal, and he still believes the assets were there to make it work. “Having a good idea is important, but being able to execute the idea is even more important, and that comes down to people and priorities, and we were unable with the combined AOL Time Warner company to get that side of it right,” he said. Chris Hondros/Getty ImagesIn his book ‘The Third Wave,’ Case said he came to regret the ‘victory shot’ of him with Time Warner head Jerry Levin. He also explained that while the dot-com crash was devastating for internet companies, a bigger problem was the culture clash between the two companies, where AOL’s side found Time Warner to be too old-fashioned, essentially, and Time Warner’s side found AOL to be a threat to their businesses. It did not help that even though Case was chairman and Levin CEO of the conglomerate, there was an incorrect but prevailing view that Case was calling all the shots, further making Time Warner executives suspicious. Today, Case’s Rise of the Rest project entails building up startup scenes outside of the existing capitals for entrepreneurs: Silicon Valley, New York, and Boston. 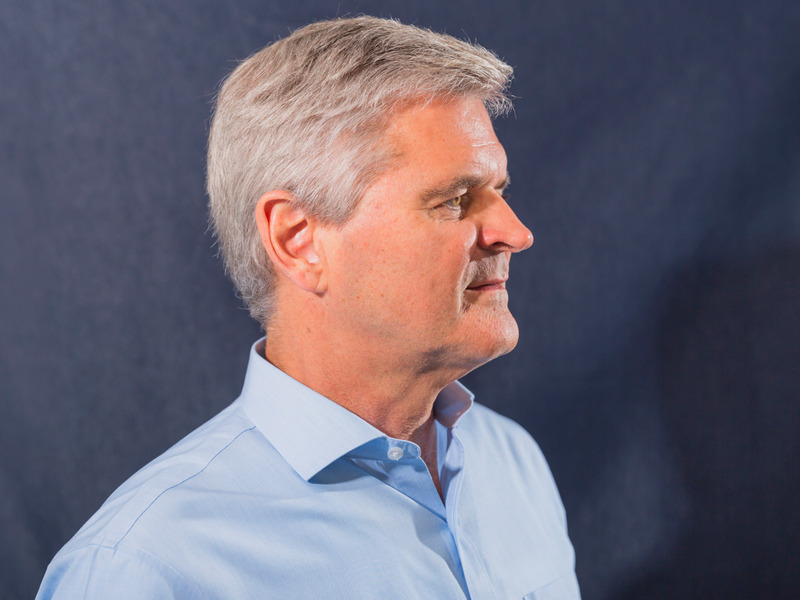 It’s a bet he’s making based on his vision for the next era of internet companies, which he believes will transform industries outside of tech and require partnerships with both established firms and regulators. It’s a project based on a deep network of investors, industry leaders, politicians, and entrepreneurs throughout the country. Case said the AOL Time Warner experience has made him savvier at building these relationships. “I’ve spent a lot of time talking to Democrats and Republicans, and trying to build relationships, trying to build good will, trying to build trust, so there is more of a willingness to at least listen, and perhaps buy into things,” he said. Listen to the full episode and subscribe to “This Is Success” on Apple Podcasts or your favourite podcast app.